The best things in life are free! Well…sort of. I have, for a long time now, praised the little things in life. And while some of my favorite things are relatively simple, (bubble baths, exploring new neighborhoods, fresh tubes of lipstick) some could considered a bit more extravagant. I’m a total foodie- from foreign street food to fancy ice creams to local diners, I will eat and enjoy it all. 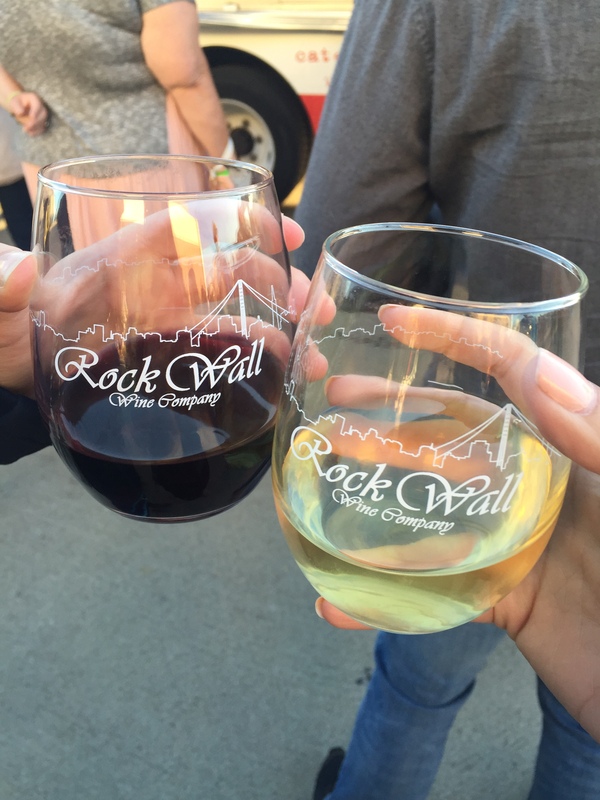 Wine, cheeseburgers, and a beautiful view at Rock Wall Winery. 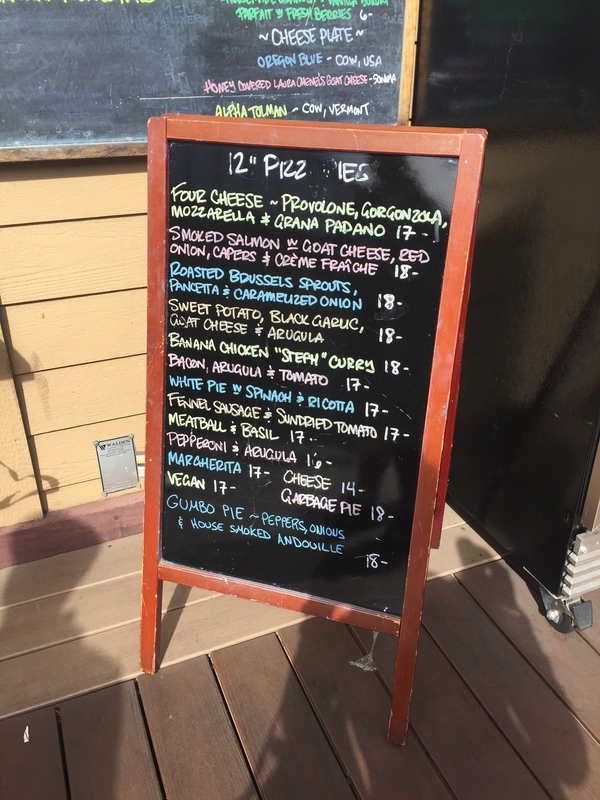 The amazing pizza specials at Scolaris on the Alameda Point! Sunday desserts at Craftsman and Wolves. 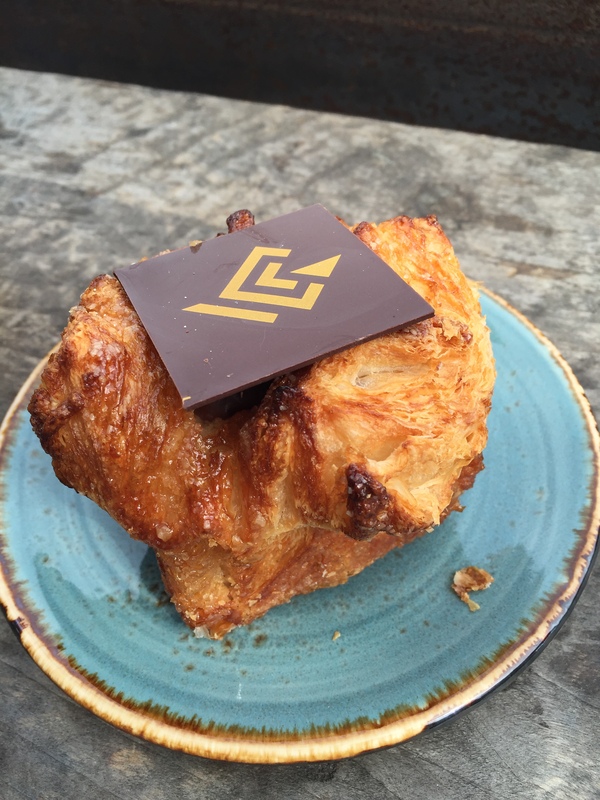 Kougin amann filled with Valrhona chocolate. While I seriously enjoy eating out, I do try to make a point of having relatively conservative meals during the week, so I can strategically indulge on the weekends. 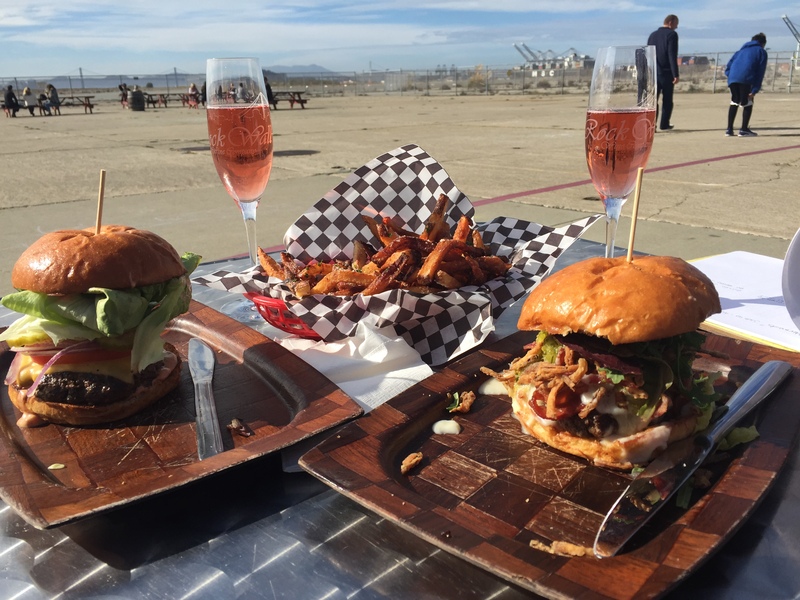 There is a massive soft spot in my heart for cheeseburgers, so my first stop this last weekend was at Scolaris out on Alameda Point. 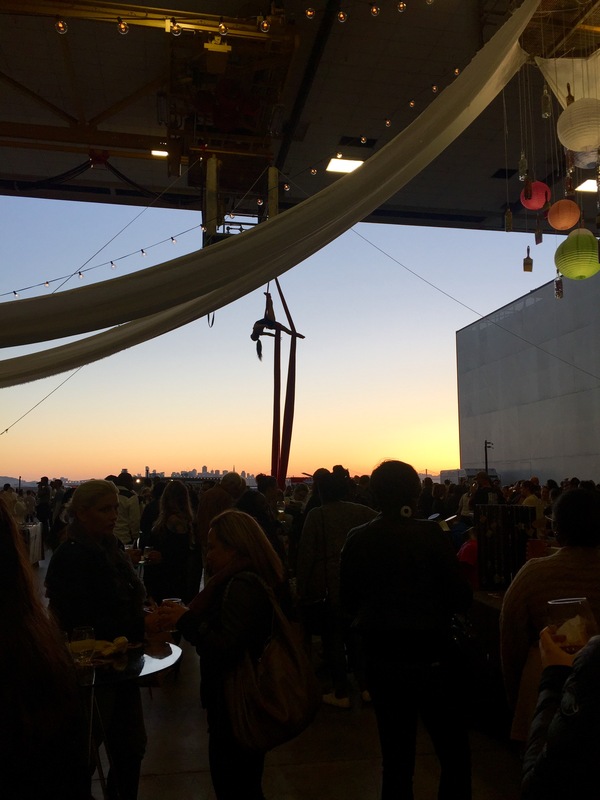 This, of course, was accompanied with tall glasses of neighboring Rock Wall Winery’s sparkling rose and amazing views of the San Francisco skyline. 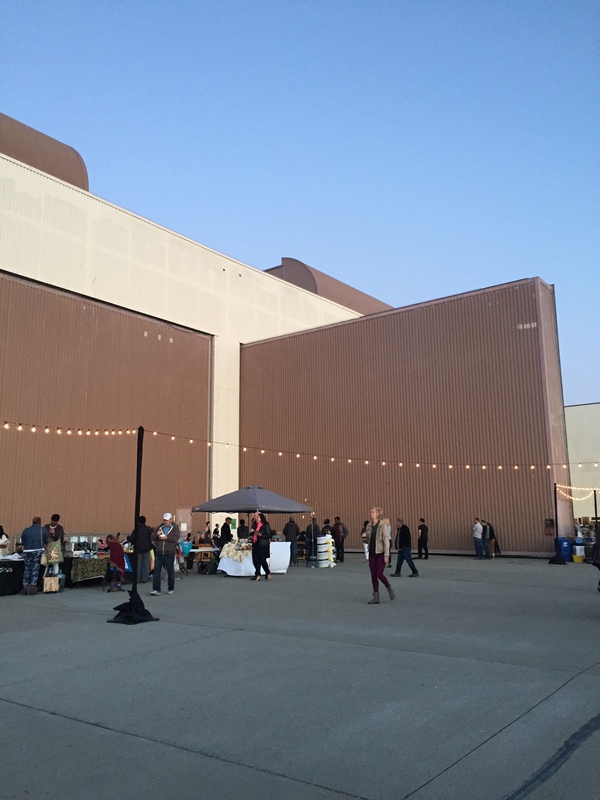 On Sunday, I finally made it to what felt like the most hip bakery ever: Craftsman and Wolves. They’re known for their innovative pastries like The Rebel Within, a savory muffin with a soft-boiled egg baked right in the center. I had an incredibly hard time choosing among all the artfully displayed pastries, but finally settled on a chocolate-filled kougin amann. (Hint: if you’re anything like me and constantly wonder how to pronounce this treat it’s pronounced: pronounced QUEEN-ah-mahn.) For me, the fun of new, delicious foods comes from the experience as a whole. 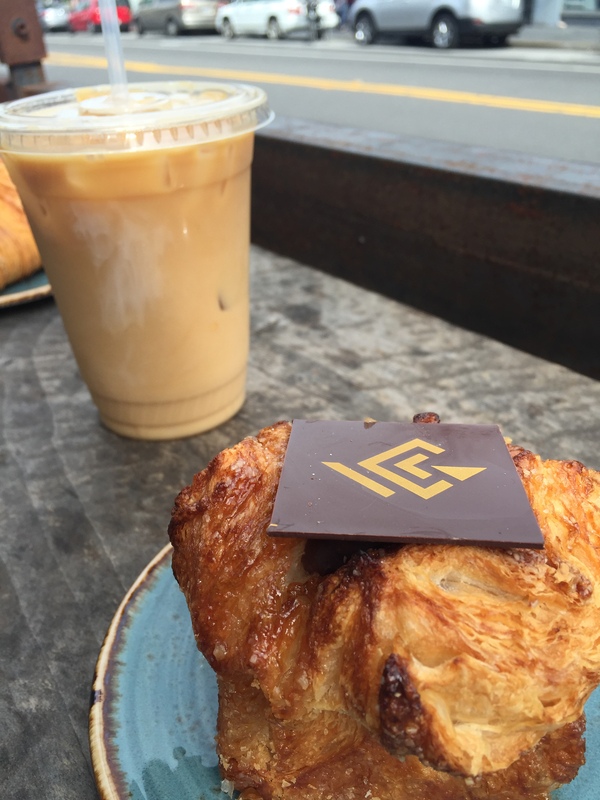 Sure, I could easily visit a local Alameda bakery and have a pastry at home, but then I would miss all the people watching in Dolores Park and the walks around San Francisco’s Mission district. It might sound silly, but I could easily plan a weekend around wonderful things to eat and sights to see. 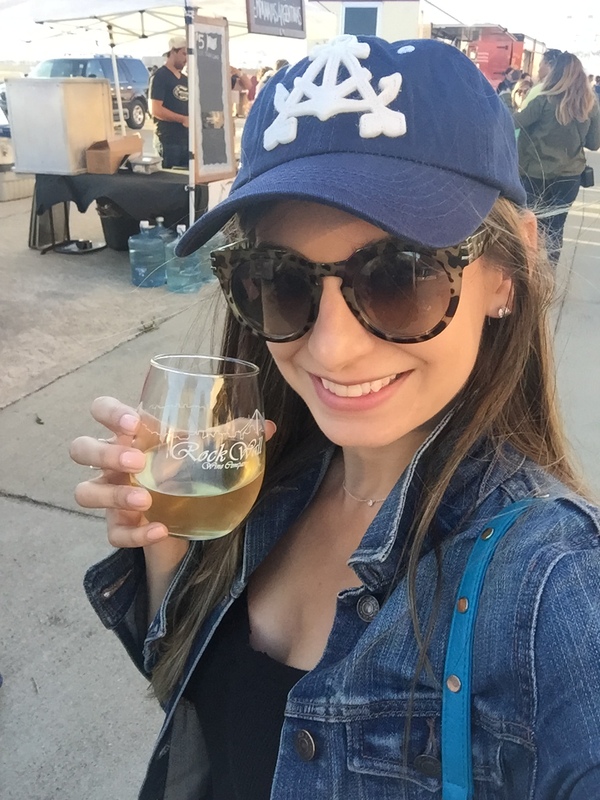 I would like to think that being a “foodie” is about so much more than the food! 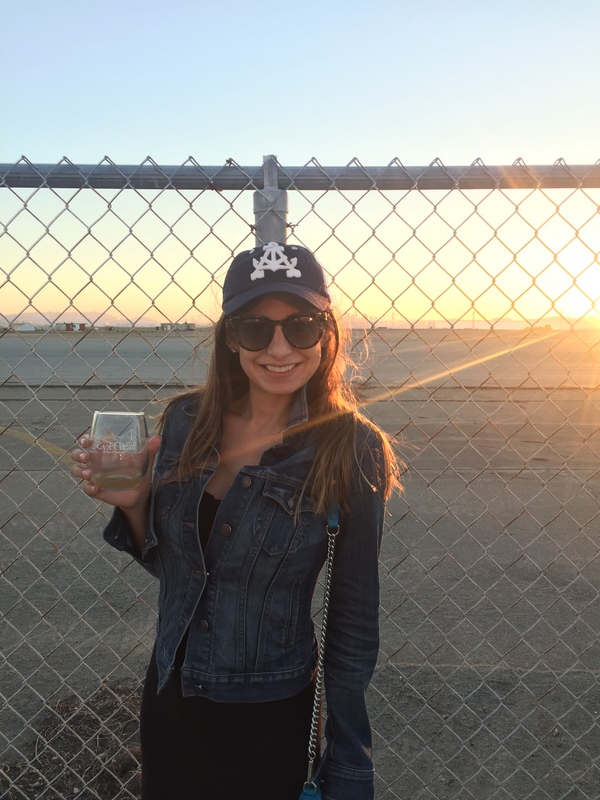 Five Things is b-a-c-k, back! 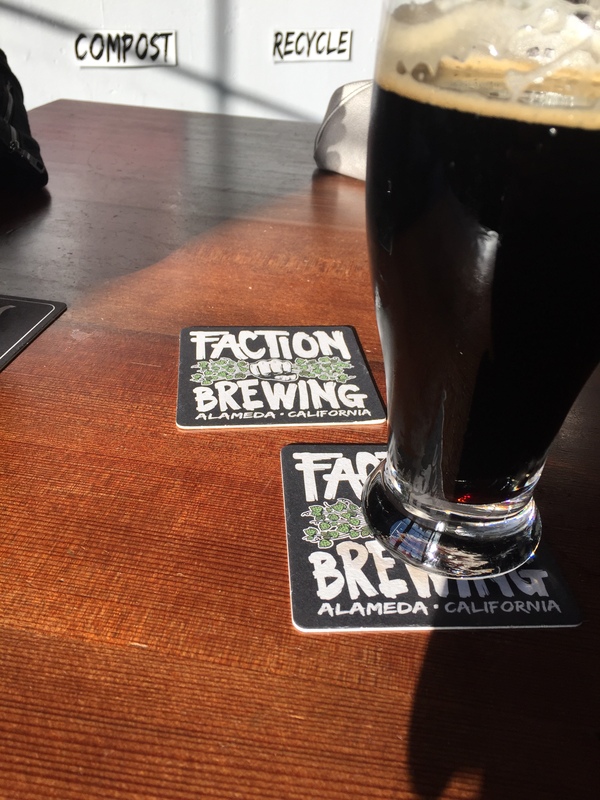 I had my first pint of porter at Faction Brewing recently. 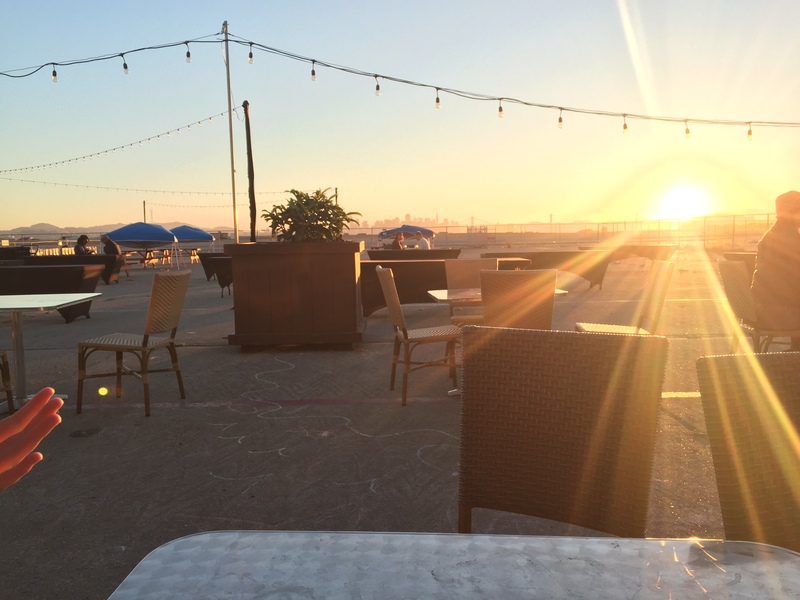 Perched on the edge of the old navy base, Faction a local Alameda brewery with an amazing view of the San Francisco skyline. 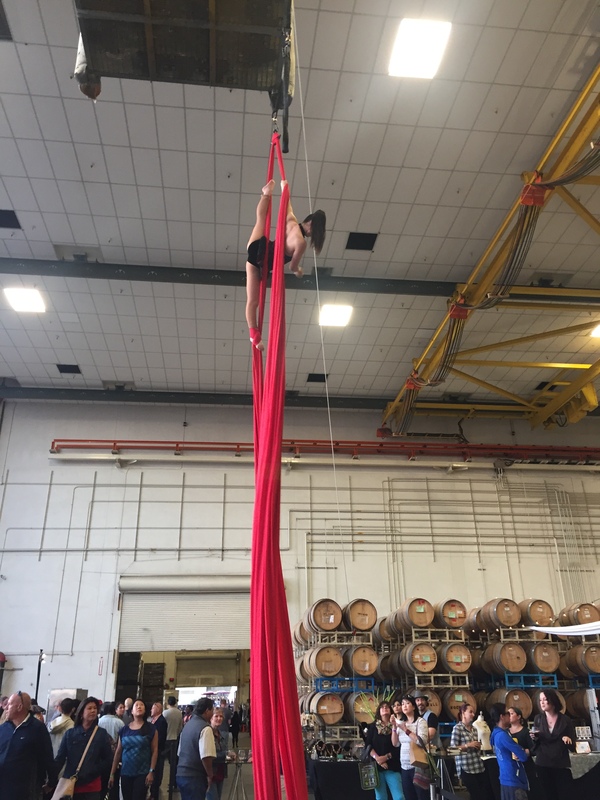 It’s very much no-frills- a trip to the ladies room requires crossing the brewery’s entire warehouse, but that’s very much part of its charm. I’ve also never had a milk stout quite like theirs before! I highly recommend. 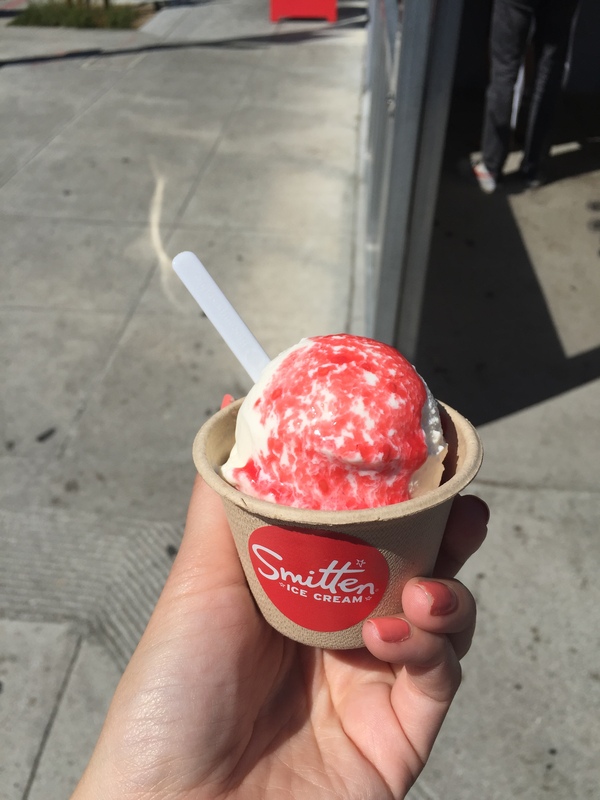 I’m very much in love with Smitten Ice Cream, located just down the street from my office. 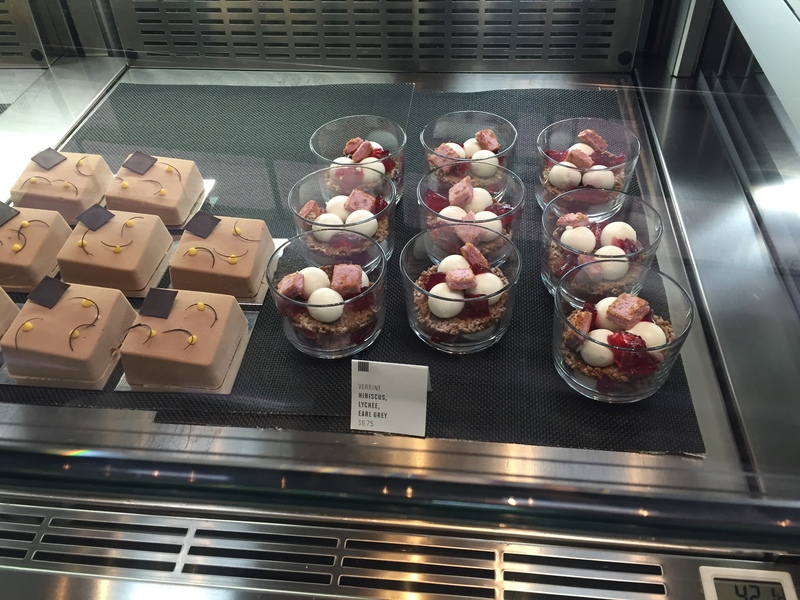 It’s made-to-order ice cream is unlike anything I’ve ever tasted before. Pictured is one of their season flavors: sweet white corn and fresh berries. Delicious! It’s no secret that I do enjoy perusing antique and thrift stores from time to time. 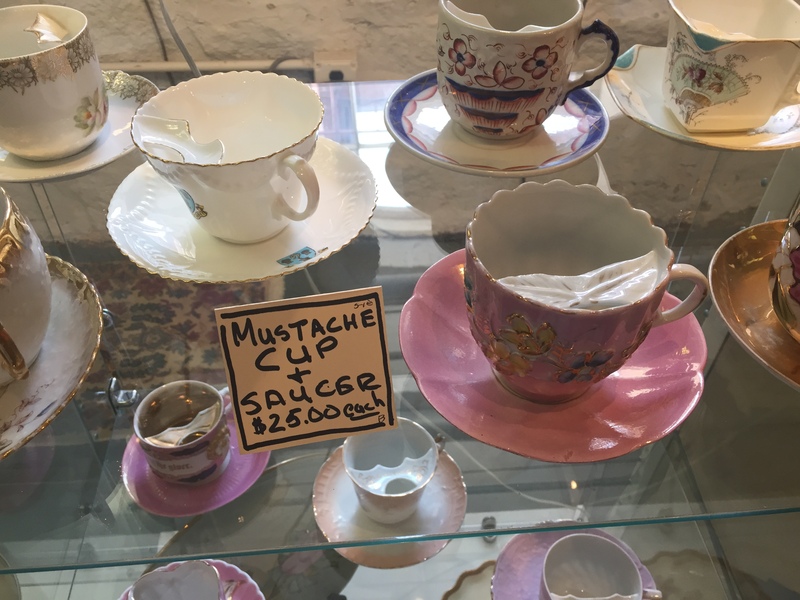 I found this funny little collection of “mustache” cups recently. Perfect at keeping tea out of even the most dapper gentleman’s mustache! 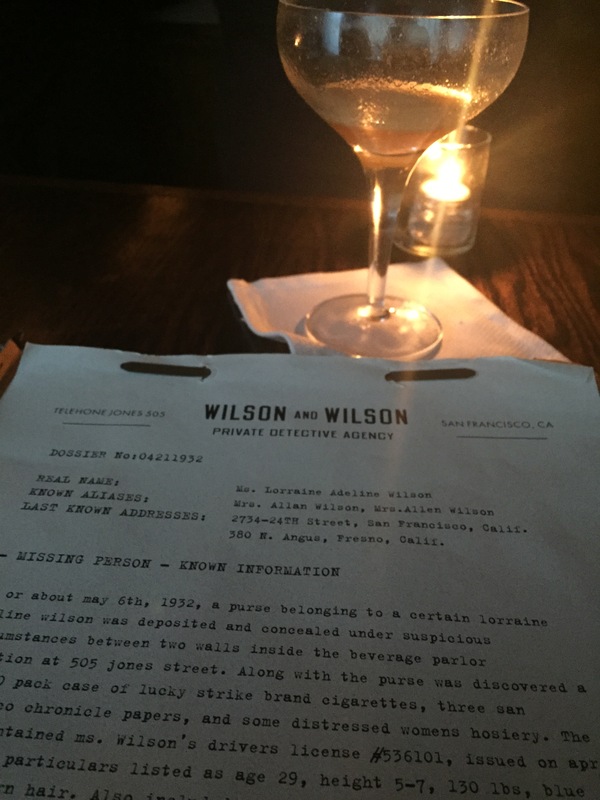 Some friends and I had the chance to visit the famed Wilson and Wilson bar in San Francisco not too long ago. A secret bar within a bar, Wilson and Wilson boasts an impressive cocktail menu, handed to you in the form of a case file. It’s detective agency-themed decor reminded me of something you might see in The Maltese Falcon and their in-house infused liquors are really unique.